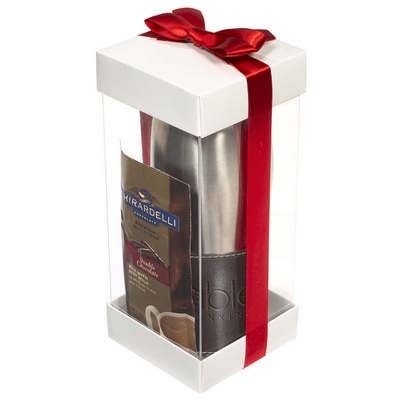 Empire™ Leather Wrapped Tumbler with Ghirardelli® Hot Cocoa Gift Set is a gift set that includes the 16 oz. Empire™ Leather Wrapped Stainless Tumbler and two packets of Ghirardelli® Premium Hot Cocoa Mix. 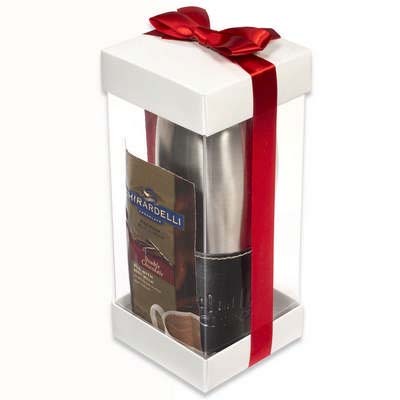 Empire™ Leather Wrapped Tumbler with Ghirardelli® Hot Cocoa Gift Set is a gift set that includes the 16 oz. 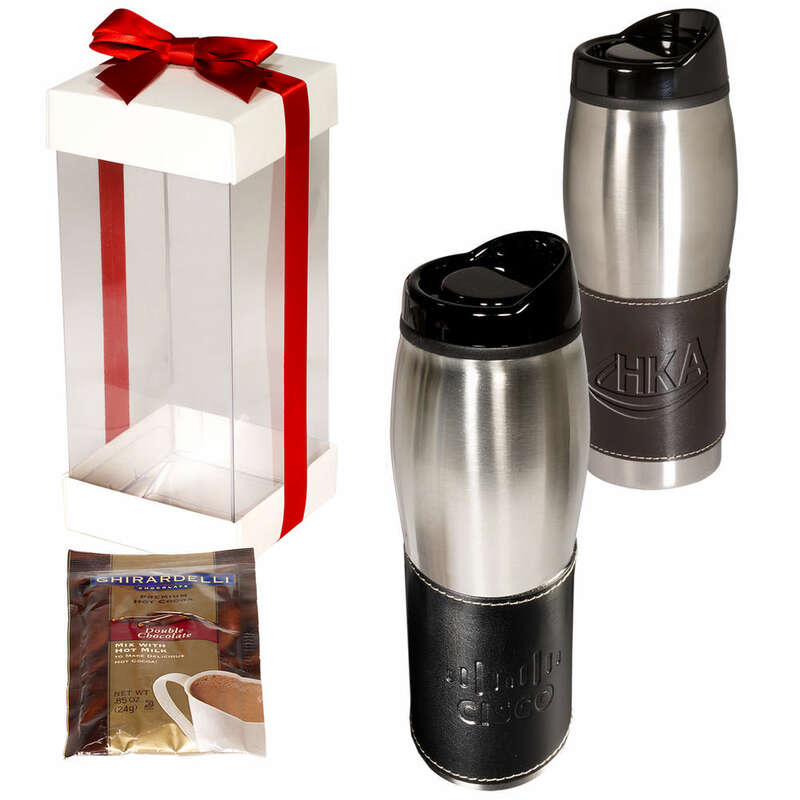 Empire™ Leather Wrapped Stainless Tumbler and two packets of Ghirardelli® Premium Hot Cocoa Mix. The tumbler is made of insulated stainless steel and has a convenient black plastic liner so that you can hold it comfortably even when it contains hot liquids. It designed for ease of use with a splash-resistant SAN acrylic drink-through lid. The bonded leather wrap removes for easy washing. Show the warmth of your regard by imprinting your logo on the leather wrap of the tumbler and get maximum attention for your promotional activities.